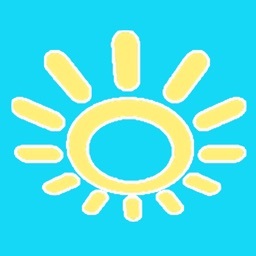 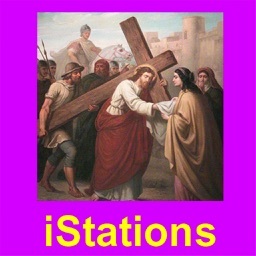 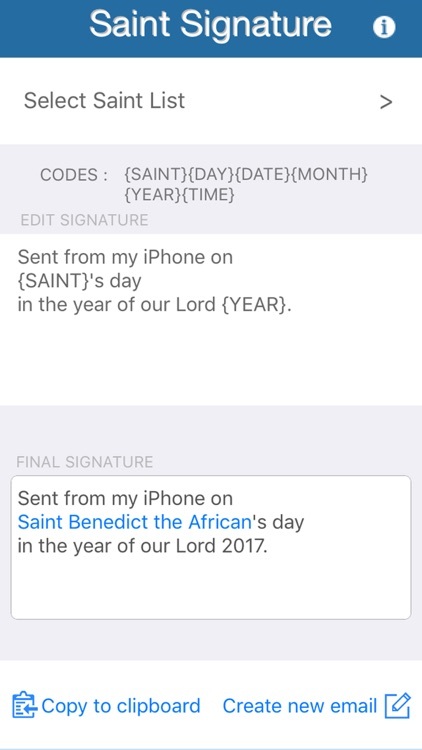 Saint Signature is an app which generates a footer for your emails with the Saint of the Day. 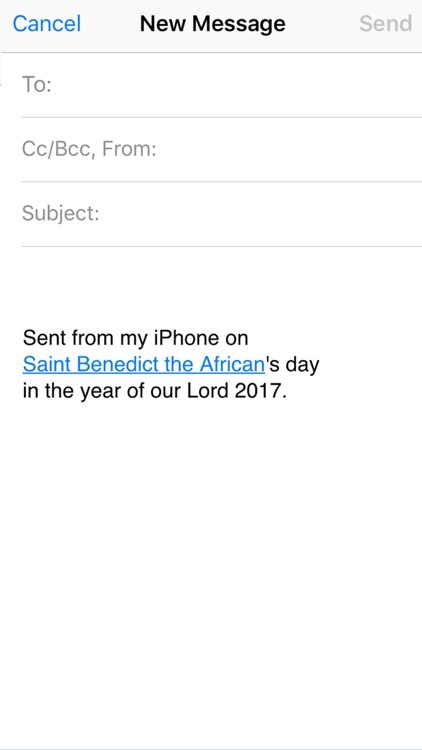 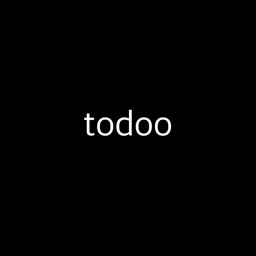 The email footer is fully customizable with multiple time and date variables. 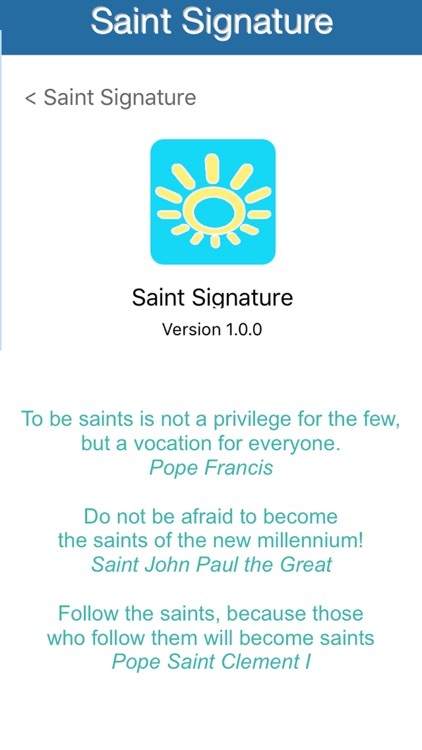 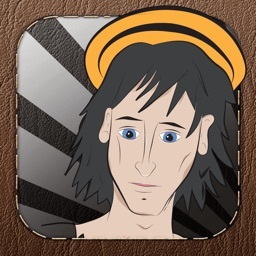 Saint Signature is a fun way to remember the many holy men and women of the Church with every email that you write. 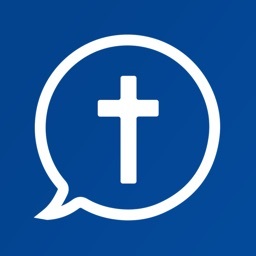 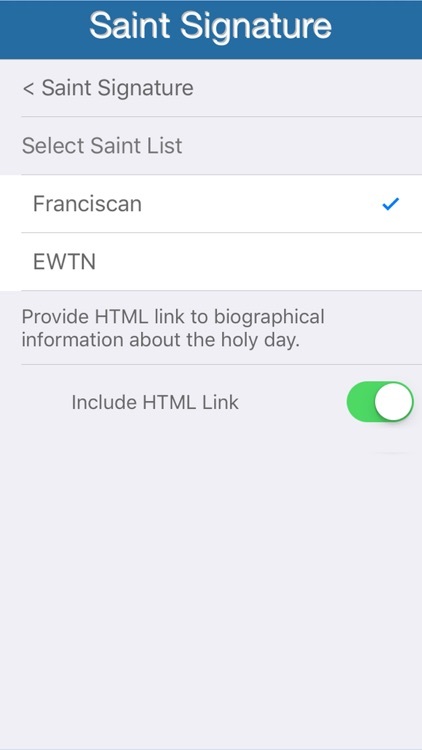 The app is also a fun and rewarding way to evangelize your correspondents, and to participate in the life of the Church. 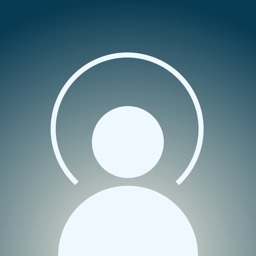 With gratitude and appreciation to Matt McDonald and Voltae Saito.